LOOKING TO BOOK THE PLACE OF YOUR DREAMS FOR YOUR VACATION? 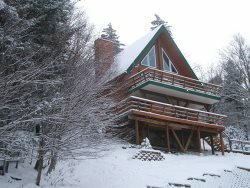 WE SPECIALIZE IN FAMILY VACATION PROPERTIES, FROM THE SMALL FAMILY TO THE LARGE, EXTENDED FAMILY GROUP! BROWSE OUR LISTINGS AND IF YOU SEE SOMETHING THAT CATCHES YOUR EYE, LOOK A LITTLE CLOSER! WE HAVE INCLUDED PHOTOS OF EACH MAJOR AREA IN EACH PROPERTY SO YOU CAN ENVISION YOUR FAMILY SITTING IN THE LIVING ROOM, HAVING DINNER IN THE DINING ROOM, OR GAZING OVER THE MOUNTAIN FROM THE DECK OR PORCH! DON'T FORGET THE CUP OF COFFEE OR HOT CHOCOLATE IN FRONT OF THE FIRE! WRAP UP IN THE WARMEST OF WARM AFGHANS, PUT YOUR FEET UP AND DREAM AWAY..HOW CAN IT BE BETTER THAN THIS? HAVE INCLUDED THOSE SPECIAL TOUCHES THAT MAKE A HOUSE A HOME. ONCE YOU FIND THE PERFECT HOME YOU CAN BOOK RIGHT HERE ON LINE OR CERTAINLY WE WOULD LOVE TO SPEAK WITH YOU AND ANSWER ANY QUESTIONS YOU MAY HAVE. 5% OFF FOR MILITARY/LAW ENFORCEMENT. ASK FOR DISCOUNT OUR SPECIAL SUNDAY TO THURSDAY RATES--30% off DOES NOT INCLUDE HOLIDAYS. ***RATES REFLECT DISCOUNT APPLIES UNTIL MARCH 1ST. FAMILY FRIENDLY AREA, SILVER CREEK OFFERS WIDE SLOPES, NIGHT SKIING, TUBING HILL, LESS CONGESTION, GREAT AREA FOR KIDS AND BIGGER KIDS! WELCOME TO THE NEIGHBORHOOD!!! BE IN THE HUB OF ACTIVITY, SHOPS, RESTAURANTS, PUBS, NIGHT CLUB, SKI SCHOOL, STARBUCKS, PIZZA, FAMILY DINING, RESORT INFORMATION CENTER, ALL IN ONE AREA-CONVENIENCE, CONVENIENCE, CONVENIENCE!